Effective twenty-first-century preaching is prophetic when it addresses closing the income and wealth gap. In the face of growing inequities in the United States and global economies, Rev. 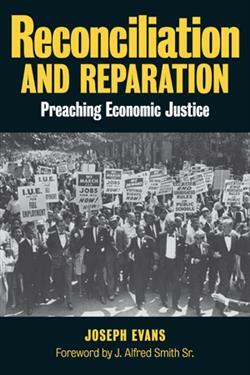 Dr. Joseph Evans, Dean of Morehouse School of Religion, has issued a clarion call to preachers to disturb the status quo and cause meaningful, thoughtful conversations about a species of biblical preaching that envisions economic justice as the ethical imperative for the twenty-first century, particularly for people of African descent. Written from a preacher's perspective, grounded in solid scholarship, this volume asserts an ethical imperative for economic justice and what this means for the twenty-first-century church and those who preach in prophetic pulpits around the world. Joseph Evans is Dean of the Morehouse School of Religion and a member of the homiletics faculty at the Interdenominational Theological Center. He is author of Lifting the Veil Over Eurocentrism: The Du Boisian Hermeneutic of Double Consciousness (Africa World Press, 2014).